(From Goodreads): When sixteen-year-old Ellie Baum accidentally time-travels via red balloon to 1988 East Berlin, she’s caught up in a conspiracy of history and magic. She meets members of an underground guild in East Berlin who use balloons and magic to help people escape over the Wall—but even to the balloon makers, Ellie’s time travel is a mystery. When it becomes clear that someone is using dark magic to change history, Ellie must risk everything—including her only way home—to stop the process. (From Google Books): Kate Harker is a girl who isn’t afraid of the dark. She’s a girl who hunts monsters. And she’s good at it. 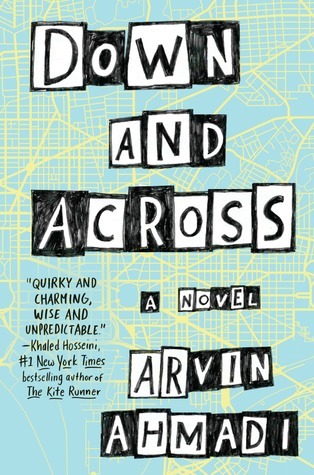 August Flynn is a monster who can never be human, no matter how much he once yearned for it. He’s a monster with a part to play. And he will play it, no matter the cost. 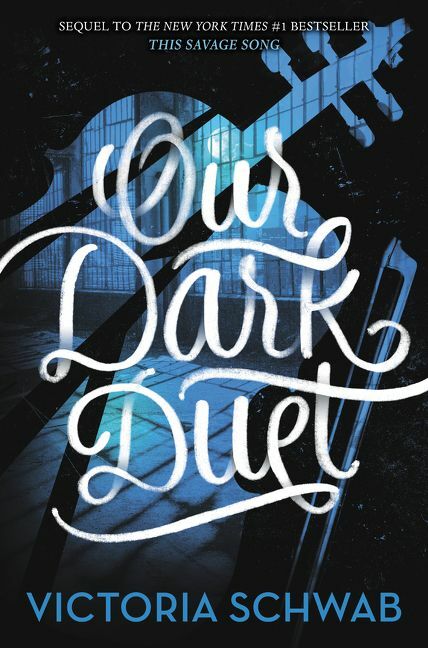 Nearly six months after Kate and August were first thrown together, the war between the monsters and the humans is terrifying reality. In Verity, August has become the leader he never wished to be, and in Prosperity, Kate has become the ruthless hunter she knew she could be. When a new monster emerges from the shadows–one who feeds on chaos and brings out its victim’s inner demons–it lures Kate home, where she finds more than she bargained for. 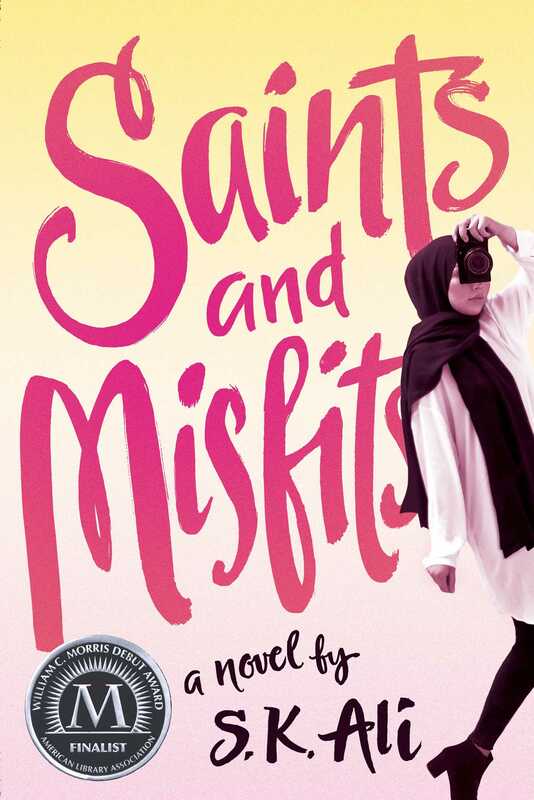 She’ll face a monster she thought she killed, a boy she thought she knew, and a demon all her own. (From Google Books): Geek girl Elle Wittimer lives and breathes Starfield, the classic science-fiction series she grew up watching with her late father. So when she sees a cosplay contest for a new Starfield movie, she has to enter. The prize? An invitation to the ExcelsiCon Cosplay Ball and a meet-and-greet with the actor slated to play Federation Prince Carmindor in the reboot. With savings from her gig at the Magic Pumpkin food truck and her dad’s old costume, Elle’s determined to win–unless her stepsisters get there first. Teen actor Darien Freeman used to live for cons–before he was famous. Now they’re nothing but autographs and awkward meet-and-greets. Playing Carmindor is all he has ever wanted, but Starfield fandom has written him off as just another dumb heartthrob. As ExcelsiCon draws near, Darien feels more and more like a fake–until he meets a girl who shows him otherwise. 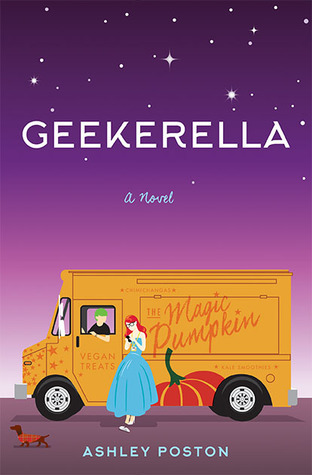 But when she disappears at midnight, will he ever be able to find her again?Part romance, part love letter to nerd culture, and all totally adorbs, Geekerella is a fairy tale for anyone who believes in the magic of fandom. (From Google Books): Henry “Monty” Montague was bred to be a gentleman. His passions for gambling halls, late nights spent with a bottle of spirits, or waking up in the arms of women or men, have earned the disapproval of his father. 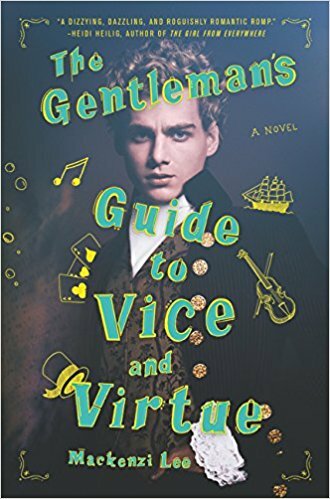 His quest for pleasures and vices have led to one last hedonistic hurrah as Monty, his best friend and crush Percy, and Monty’s sister Felicity begin a Grand Tour of Europe. 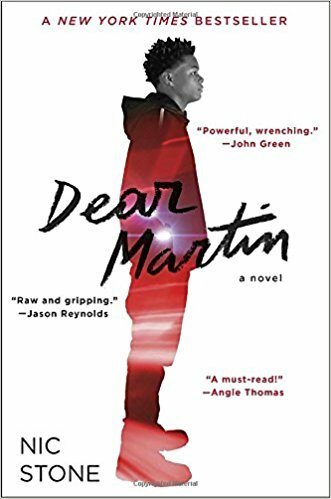 When a reckless decision turns their trip abroad into a harrowing manhunt, it calls into question everything Monty knows, including his relationship with the boy he adores. (From Google Books): Justyce McAllister is top of his class and set for the Ivy League – but none of that matters to the police officer who just put him in handcuffs. And despite leaving his rough neighbourhood behind, he can’t escape the scorn of his former peers or the ridicule of his new classmates. (From Goodreads): On September 5, a little after midnight, Death-Cast calls Mateo Torrez and Rufus Emeterio to give them some bad news: They’re going to die today. (From Google Books): Scott Ferdowsi has a track record of quitting. His best friends know exactly what they want to do with the rest of their lives, but Scott can hardly commit to a breakfast cereal, let alone a passion. With college applications looming and his parents pushing him to settle on a “practical” career, Scott sneaks off to Washington, DC, seeking guidance from a famous psychologist who claims to know the secret to success. I got tagged by Melissa Rose Rogers to answer some fun questions about reading. I got the questions here on Lorraine Ambers’ blog. Of those two options, I definitely prefer a physical book. However, if you were to add audiobooks as an option, it’d be a tougher call. I consume most of my books as audiobooks these days (yay chronic migraines), although I still love curling up with a physical book when my head allows it. Small paperbacks are easier to handle when my hands are sore. Plus they’re usually cheaper. I only really buy hardbacks if I’m super impatient to get my hands on a book. A little of both? I love bookstores…although they can be dangerous for my wallet (I almost never leave empty-handed). But the closest ones to me are fairly small stores that don’t carry a lot of stock, so often I end up ordering from their website. I do try to keep my online purchases to my favourite Canadian chain, though, and not a certain uber-giant company. Hmm…Honestly? I’d probably pick standalones over all of those. If I’m reading a book, I like it to have an ending. That said, I don’t mind trilogies that are already complete (my memory is so bad, I can’t hold onto plot lines for several years while waiting for another book to come out) or series that are either complete, or very separate stories. For instance, the Dresden Files Adult Urban Fantasy books by Jim Butcher were good at being mostly monster-of-the-week style books (at least the first 8 or 9), though always building on the previous books. Of course now that there are more plot threads hanging, I’ve caught up to the writer and am impatiently awaiting the next in the series. Probably heroes for me, although I’m occasionally a sucker for a sympathetic villain. Ooh, this is tough. I’ve read so many good books this year. In fact, I’m already working on a three-part post listing my favourite reads of the year, so I think my official answer is: tune in next week. Honestly, I’m not sure I’m up to date on what’s underrated. So I’m just going to say: see above. For me: It’s been a while since I bought a book, as I mostly borrow audiobooks from the library these days. 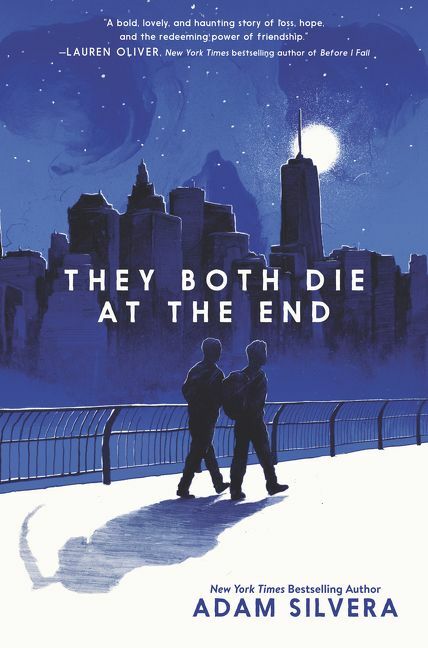 But I’m pretty sure my last purchases were:They Both Die at the End by: Adam Silvera (YA…not sure what this counts as? Light Sci-Fi? Near-Future? Speculative Fiction?) 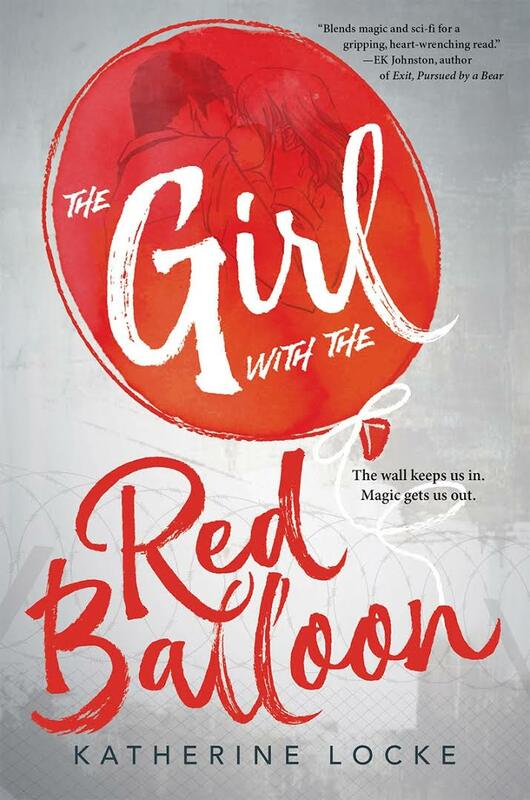 and The Girl With the Red Balloon by: Katherine Locke (YA Alternate History/Fantasy…apparently I like hard-to-classify books). Yes. I love used books. Especially since I have a soft spot for old mysteries that aren’t in print anymore. Ooh, can I say 4? Adult Mystery, YA Fantasy, Adult Urban Fantasy, & YA Contemporary. Plot. Although I need to care about the characters, too. Somewhere in the middle? I like a book to take about 8 hours (of reading or listening). Long enough to get into the story, but not dragging it out. The last audiobook I had was the end of a trilogy I was really into, but at 23.5 hours, it just dragged. Again, I’m going with Goldilocks, although probably erring toward the shorter end. If a chapter is long, it better have a good place to stop, because I can’t read forever. I am a sucker for one-line chapters, though. Don’t put me on the spot or anything. Harry Potter and the Prisoner of Azkaban, Storm Front (The first, but not the best, Dresden Files book), and Geekarella. Laugh. Although I have to admit, the most heart-breaking ones are the ones that stick with me. Um, which fictional worlds? Not sure I want to live in a world with warlocks, vampires (the bloodthirsty kind or the sparkly kind) and semi-annual apocalypse attempts. Guess I’m going with ours? Always. And the publishers expect you to, that’s why they put so much work into them. How about a Broadway Musical? Because I think Wicked did an amazing job of streamlining all the non-essentials out, and patching up plot holes. If you’re a blogger, consider yourself tagged. If not, feel free to answer all (or just your favourite) questions in the comments. I like Social Media. Really I do. I use it to stay in touch with old friends, make new ones, and to keep on top of news, politics, and the book world. Granted, the news this year has been a dumpster fire, but even then, the positive has mostly outweighed the negative for me (I’m fortunate to have not had any major troll incursions). But lately I’ve been struggling. Every time someone I follow posts happy writing news (signing with an agent, book deal, movie deal, hitting the bestseller list, awards, etc.) it’s like a little piece of the hope inside me dies. Rationally, I know that other people getting deals or awards doesn’t affect my chances of getting them. And I am happy for them. I even understand that while it feels like everyone in the world has exciting writing news to share, that’s because good news *is* what you share – most people don’t post every time they get a rejection or struggle to get words out. Some days it’s just really hard to celebrate other people’s successes when my own career feels like its going backwards. Still, I know there’s no point in wallowing. That the best thing I can do for my career is to keep writing, keep trying, keep staying in touch with other writers and the writing world, and just drown my sorrows in chocolate while I’m doing it. During last week’s power outage, there wasn’t a lot to do except read – I couldn’t even listen to my usual audiobooks, because I was trying to preserve my phone battery. I had a few new books on my nightstand (yeah, I can’t seem to stop buying physical books, even though I mostly listen to audiobooks these days), but with all the stress of the storm and not knowing when power would come back on, what I really wanted was a comfort read. There’s something about diving into a familiar world, where you know how the story ends, that’s like wrapping yourself in a cozy blanket while chowing down on still-warm-from-the-oven brownies. It’s like the reading equivalent of a puppy snuggle, and it’s just what I needed. My comfort books are often Adult Mysteries (I have near-complete collections of the works of Agatha Christie, Ruth Rendell, Elizabeth George, and Rex Stout on my shelves), the Harry Potter Series, and – what I went for this time around – The Dresden Files books, which are an Adult Urban Fantasy (/Mystery, since the MC is a wizard detective). What about you? Do you have a comfort book or series that you keep coming back to? Let me know in the comments.